I’ve been unemployed for a month now. 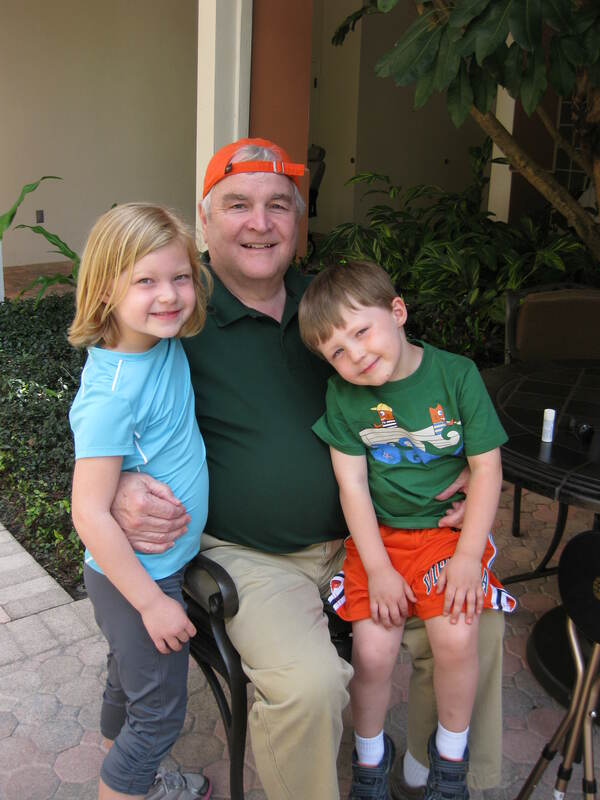 It has been a generally good month – with vacation, more time with the kids, feeling relaxed when I wake up in the morning… It’s too bad that my relaxation in the morning soon becomes stress as I dive into the job search. I have a long list of jobs that I have applied for (keeping the list for reference and for Maryland unemployment), but very few responses. While I wait for emails or phone calls or even more job postings, I sit and think about what it is I really want. I mentioned how I was going to make a list of all the priorities I need in a job, and while I did think about it all, I didn’t put the list on paper. Not doing that in the first place has caused quite a bit of turmoil this week as I try to make my priorities fit into a job that really isn’t the best fit despite how great it sounds. Putting pen to paper is essential. If I had done that from the beginning, everything could have been more clear. I could match up the job responsibilities and facts to the list and see what matches. It would be an easy pros/cons list. But instead, I keep going back and forth on what priorities are for me and how they relate to my career search. Career search – that really is what I’m doing. It can’t be a job search. A job search is just looking for something that will fill my days. I want something to fill my life and my passion and my bank account. 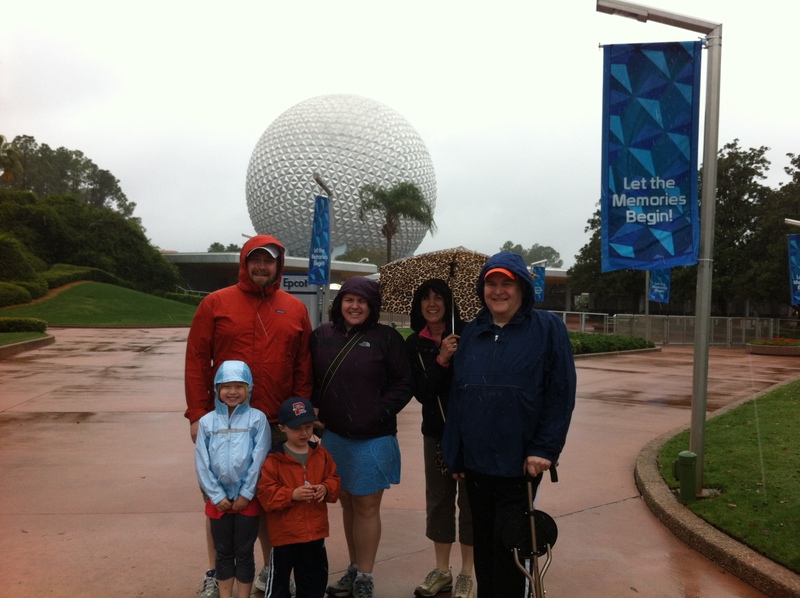 The trip started with a rainy day at Epcot. All smiles though since vacation was officially underway. 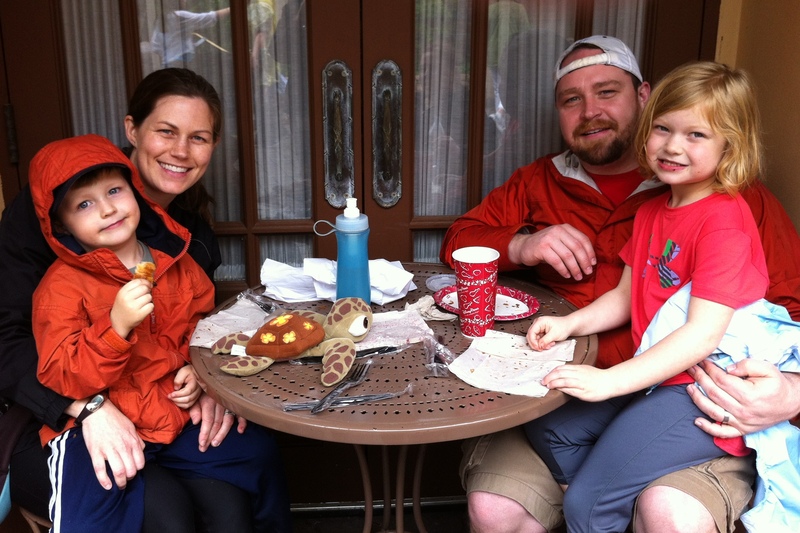 One of our favorite spots at Epcot - eating chocolate croissants in France. Yum! 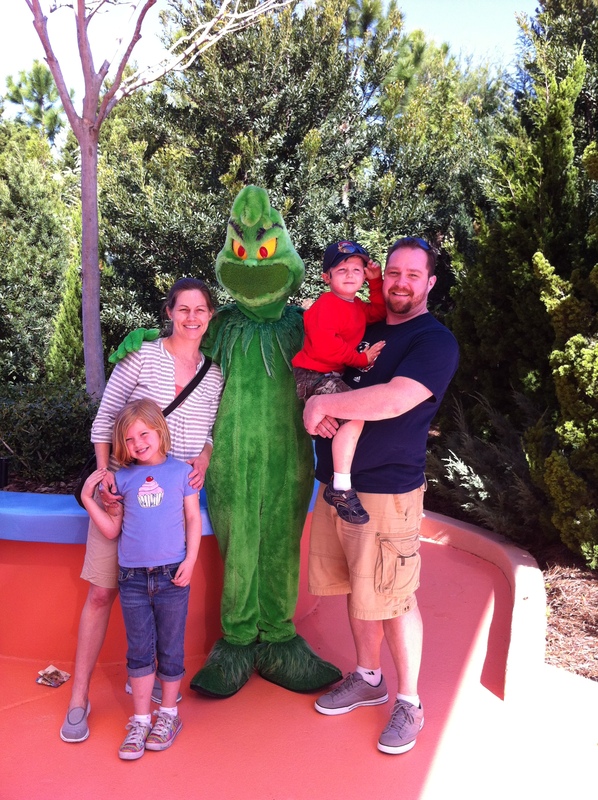 The next day was our first time at Universal Studios' Islands of Adventure. This might just have to be our Christmas card picture. If I've talked to you since the trip, I have mentioned how crowded it was. 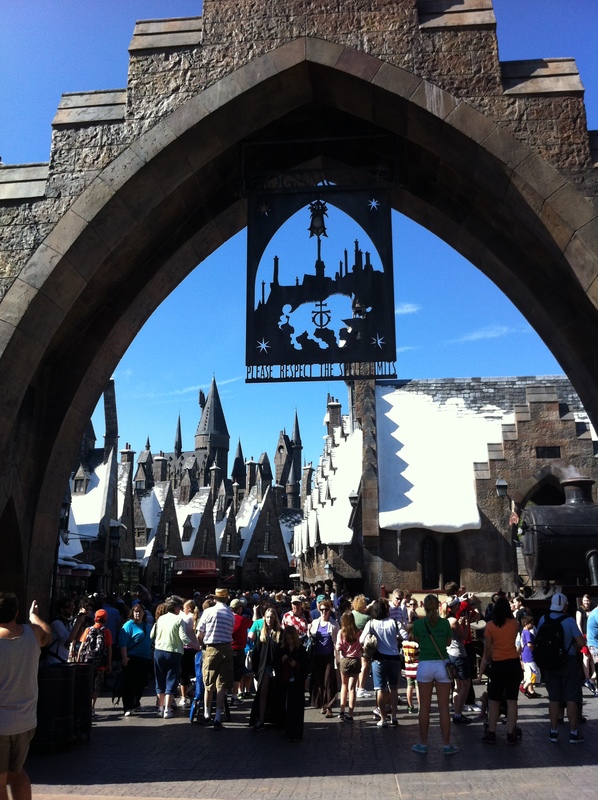 This was the entrance to the Harry Potter area... There were ropes up for crowd control, and there was no way we were waiting in line to go in shops. Still amazing to see, though! Because the weather was so nice, we actually got some pool time. 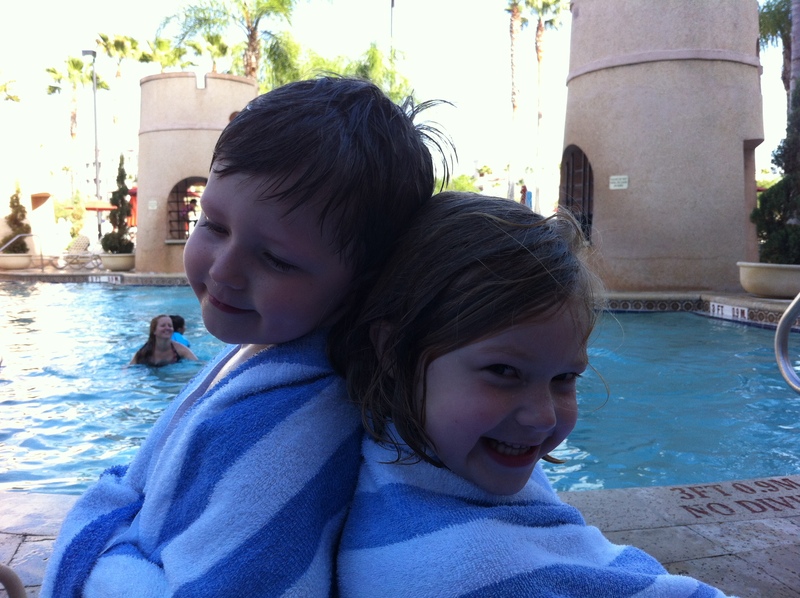 The kids hated leaving the pool each night. 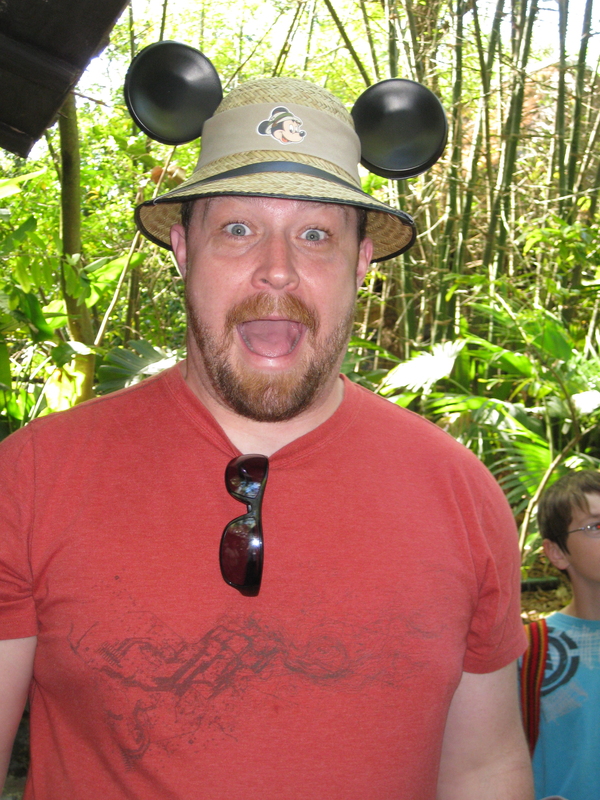 Our next stop was Animal Kingdom, which is always one of our favorites. 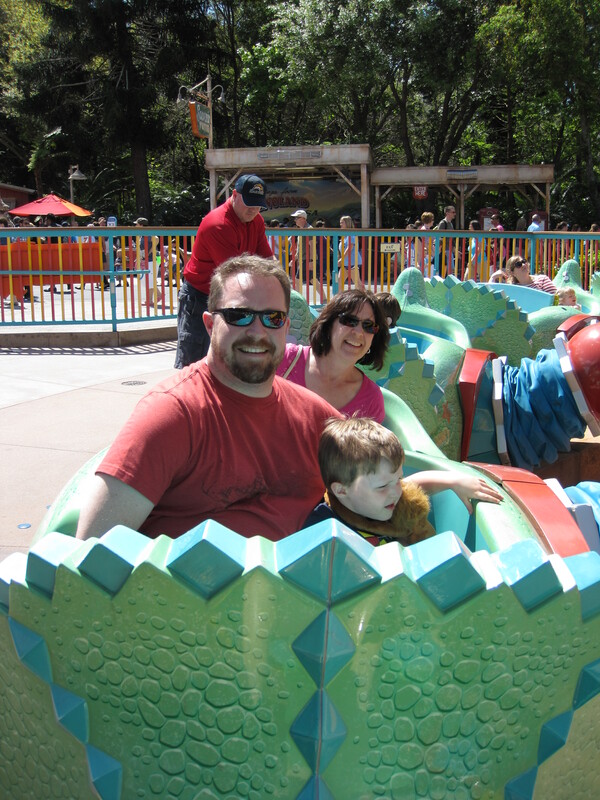 Who wouldn't love the Triceratops Spin? 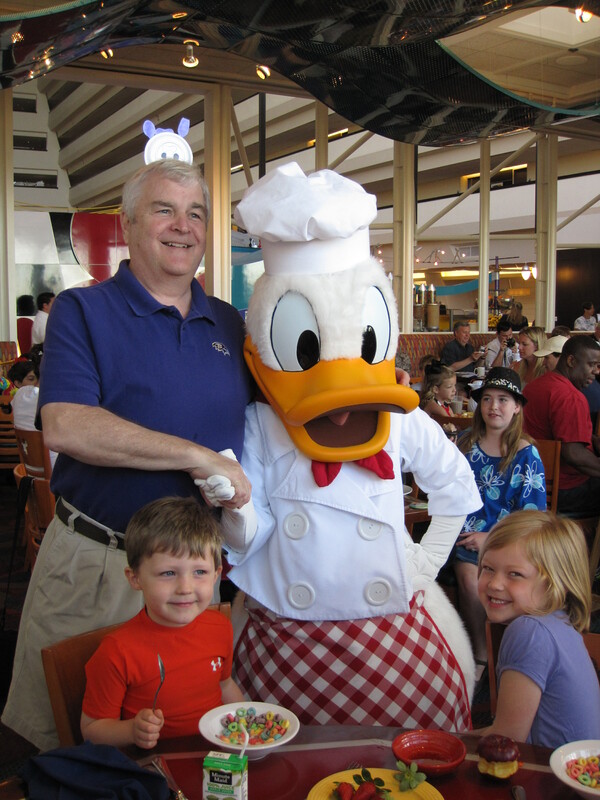 Here is Papa with Donald Duck and the kids... Donald is Papa's fave, so this was quite a photo opp. 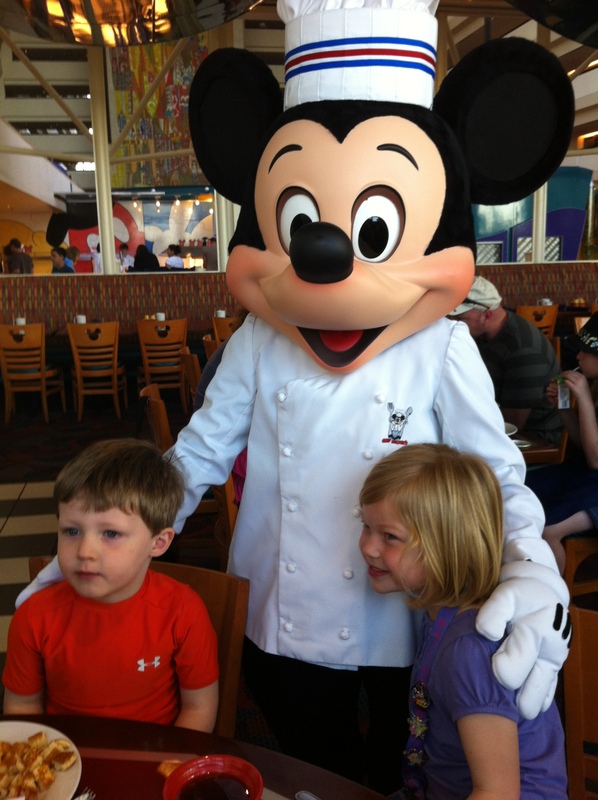 Everyone agreed that the Mickey waffles were the best at Chef Mickey's at the Contemporary Resort. 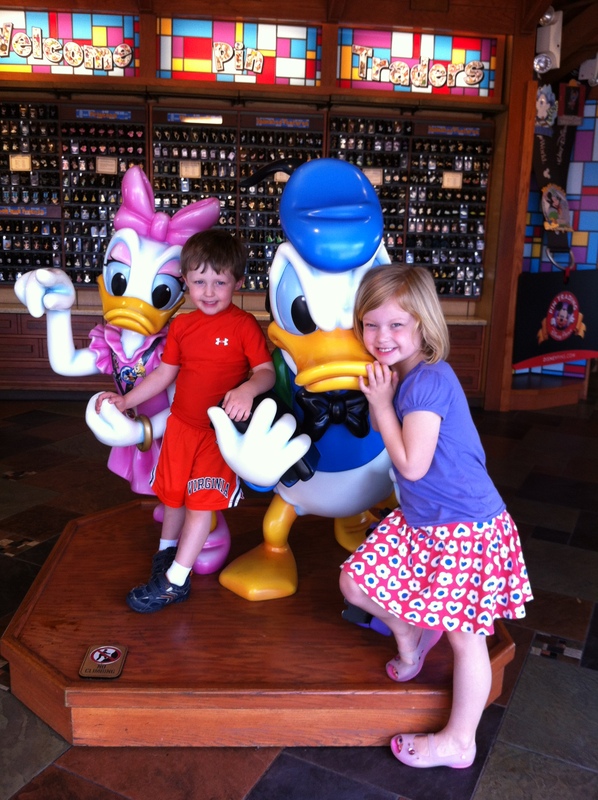 Another Donald picture... We took the day off from all the parks and enjoyed a trip to Downtown Disney and the pool. It was nice to get the break mid-week. 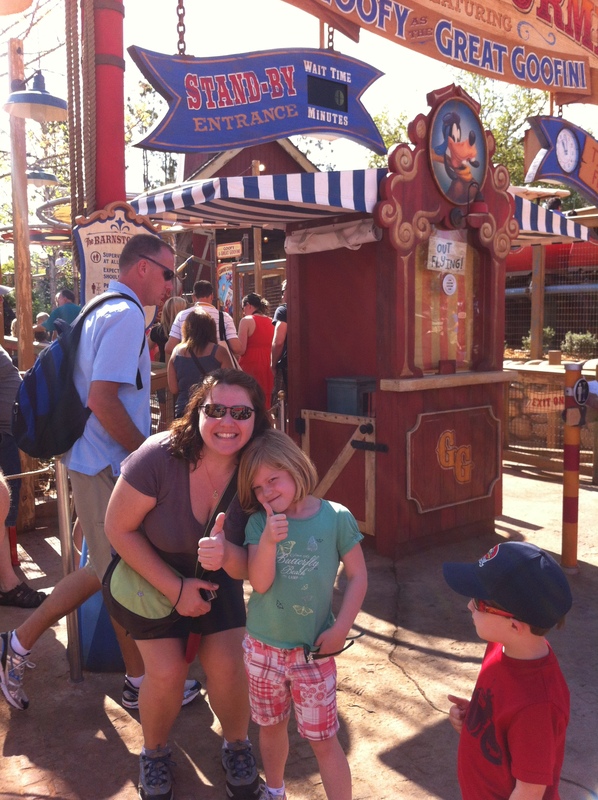 We thought the Barnstormer was still closed due to construction in Toon Town. We were pleasantly surprised to find it open, and it delivered to remain one of our favorite small coasters. 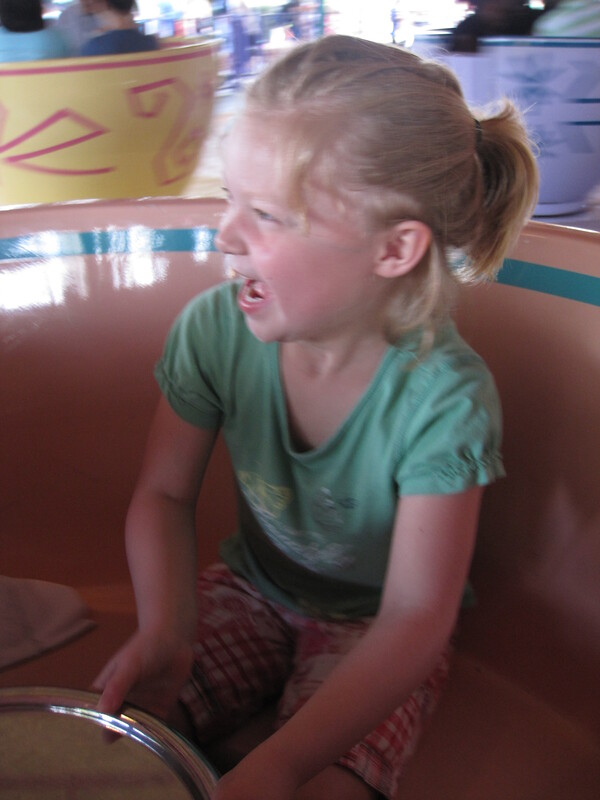 You can't go to Magic Kingdom without doing the Teacups. I love hearing Mason's laugh on this ride. I never ride with her since she LOVES to spin hard, but I certainly can always hear her gleeful giggle the entire time. Papa had some back issues, so he couldn't do everything with us. 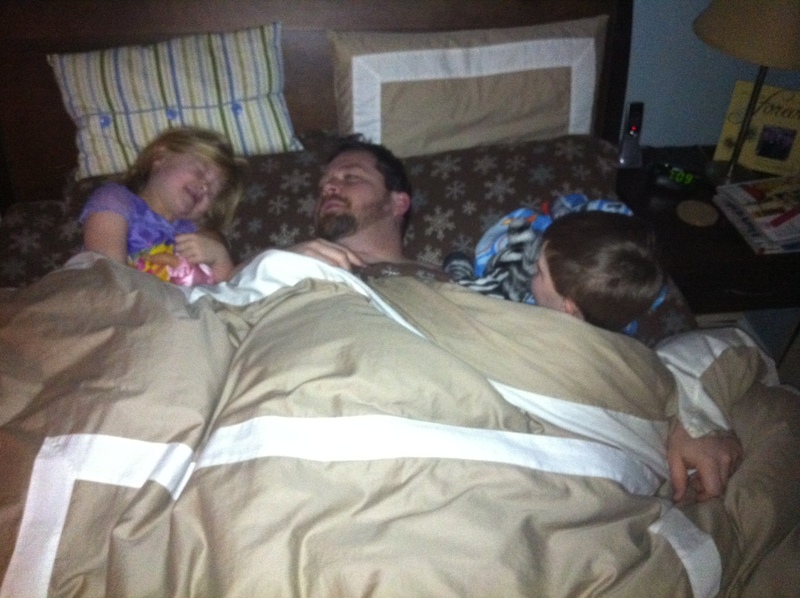 We missed him a lot, and were always happy when we were all back together. We ended the trip at the T-Rex restaurant at Downtown Disney. 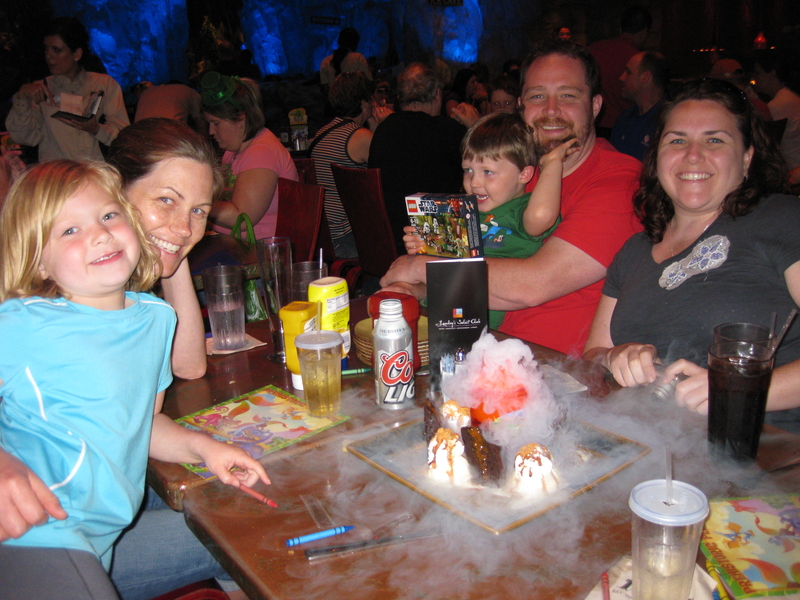 That steaming thing in front of us is the Chocolate Extinction dessert. Holy Stegosaurus was that thing good! I think that’s enough pictures. Hope I didn’t go a little overboard, but we had a great time and always love reliving the memories with pictures. The 2-year countdown has already begun. It’s Monday! Sadly it is the Monday after a week-long vacation at Disney World. But it is a beautiful day out – the sun is shining, the birds are chirping, and I am ready to go. (It might have something to do with the fact that I am finally alone for the first time in 8 days.) Vacation was awesome, and I will be posting pictures soon, but for now I need to focus on finding a job. Before we left for Florida, I applied for several jobs. I haven’t heard back from any of them, so today I start all over again. Job searching, reaching out to contacts, sending resumes… I’m confident in my abilities and ready for someone to see that. I’m motivated to find the right fit and not just go for the first job that is offered to me (hopefully there will be several, but I have to be realistic in this economy.) To make sure I have my priorities straight, I am going to start a list of goals for a new job. What is most important? What am I willing to be flexible on? What is non-negotiable? Understanding all this from the get-go will help me stay on track. 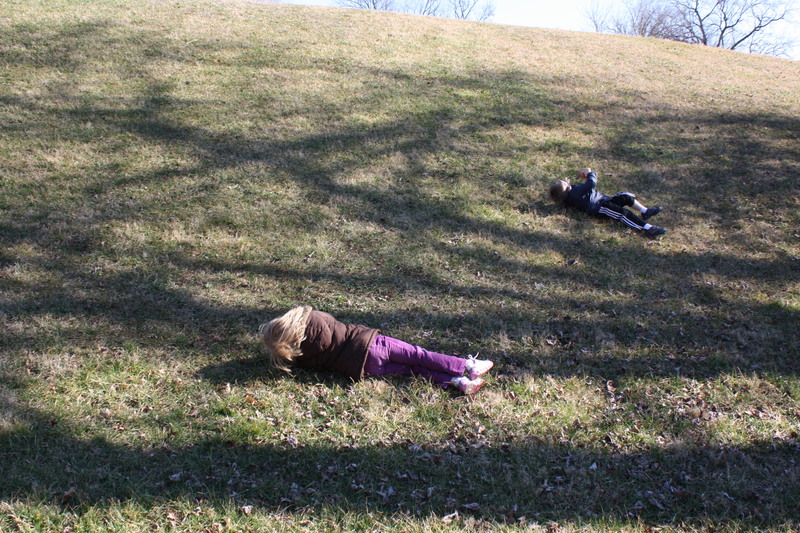 After all that, then I get to have some fun on this beautiful day. A little weeding, maybe some mulching and definitely a run. (Vacation also motivates the need to be healthier after a week of very few rules.) Basically anything that can get me outside. It’s springtime, and I’m refreshed and ready! 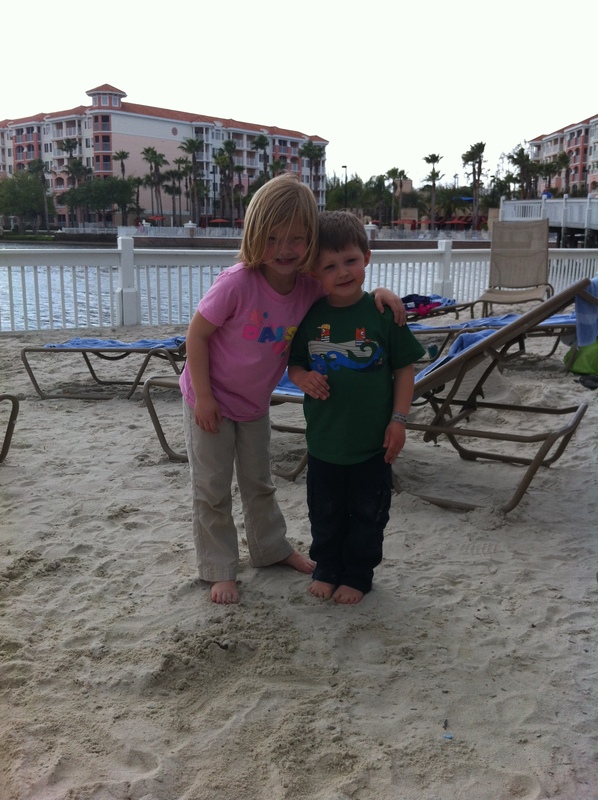 Enjoying the beach at the resort before we were able to get into our room. A great way to start off the vacation! 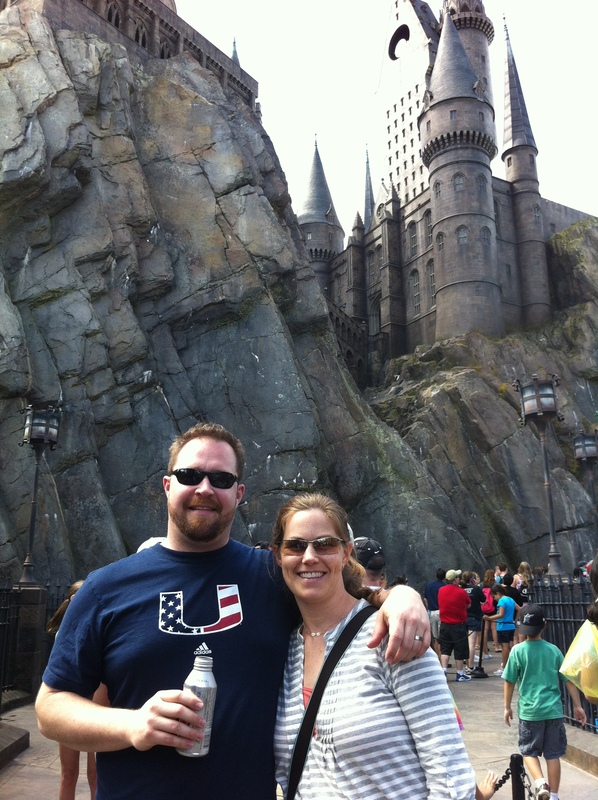 In line for the Harry Potter ride. Not sure it was worth the 2 hour wait, but still pretty fun. Time to get off the computer and get outside! Happy Monday! Nain is back with her Motivation Mondays. Check out her blog, View from Down Here, and link up if you want! Since my job ended recently, I have been living my life as a “stay-at-home-mom” (SAHM) and a job seeker. I put “SAHM” in quotes because I can’t really say I’m mothering while I’m here. The kids are still at school every day. But still I am finding it very easy to fill my days. Between job hunting, preparing for vacation, catching up on outdated projects, having lunch with people because I finally have the time, and doing laundry, it easily becomes 4pm, and I wonder where my day went. Seriously, how did I get anything done working full-time? I’ll be honest. I love being at home. I love taking my time in the morning. I love getting to exercise when it is light outside – like in the middle of the day! I love being able to catch up on my DVR. I love not stressing…. yet. (The key here is “yet” since I have a feeling I’ll start stressing about the no job situation in about a week.) Most of all, though, I love being able to enjoy some extra time with some of my favorite people. I could get used to this kind of life. Unfortunately, I know it will end because I have to go back to work. Until then, though, I’m appreciating the time. There is no denying that I have a sweet tooth. It’s like saying “the sky is blue.” It’s just a statement of fact. I don’t know if this sweet tooth was passed down to me through genetics (my family does like its chocolate!) or whether I have built this sweet tooth by nurturing it all these years. I grew up eating dessert. It was a fact of life that we would get dessert after dinner. And my mom would bake a cake every time we scored a goal in a soccer game (eventually the “baking” turned into “buying” the delicious Pepperidge Farm freezer cakes that were so delicious because she couldn’t bake a cake every weekend!) I was so active as a kid that I never really had to worry about the effects of all these sweets. But now as a thirty-something, I have to worry about how each sweet will affect me. And to tell you the truth, I hate having to care. But it just means I have to stay active and work out that much more. Hence my mantra below. I’ve had to work out a lot lately because I’ve just wanted to bake. It’s what I love. I think that it’s my stress relief. And life has been pretty darn stressful lately, so I’ve needed a lot of relief. 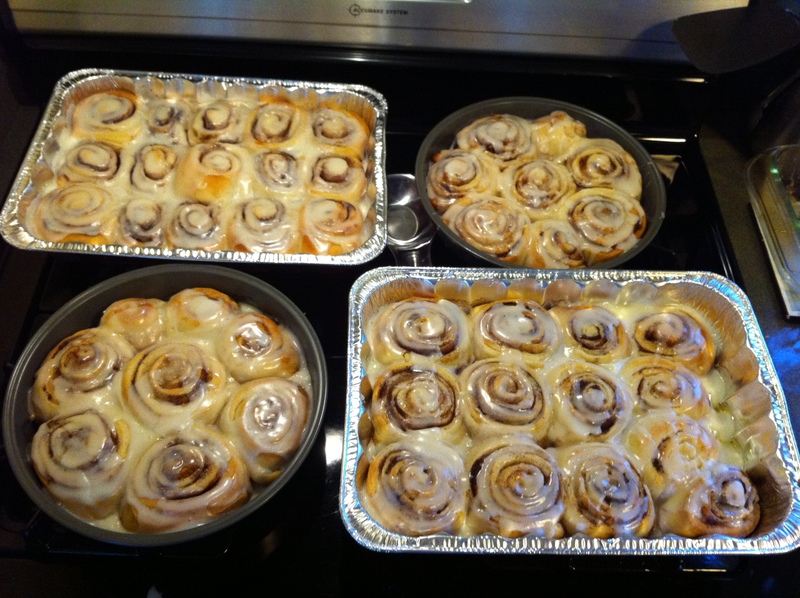 PW's Cinnamon Rolls - I've been wanting to make them for a while, so Christmas seemed to be the time. They did not disappoint! 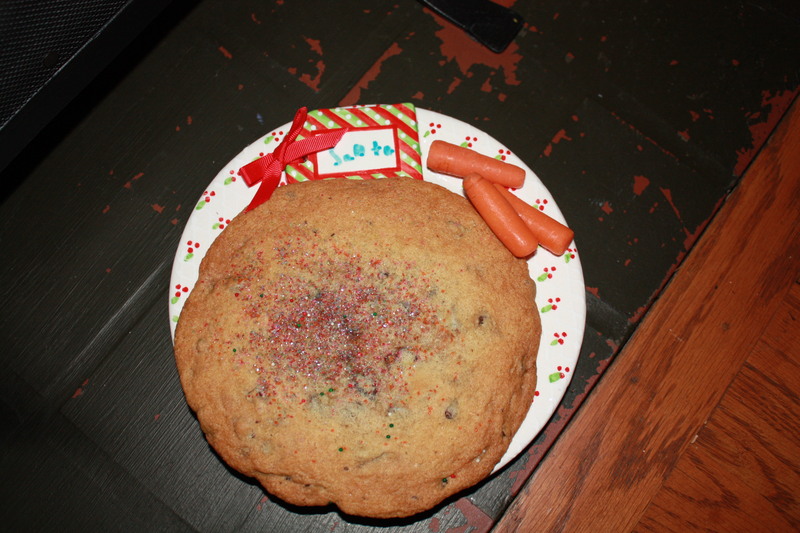 Giant Chocolate Chip Cookie for Santa - the kids added the sprinkles. This was heavenly! 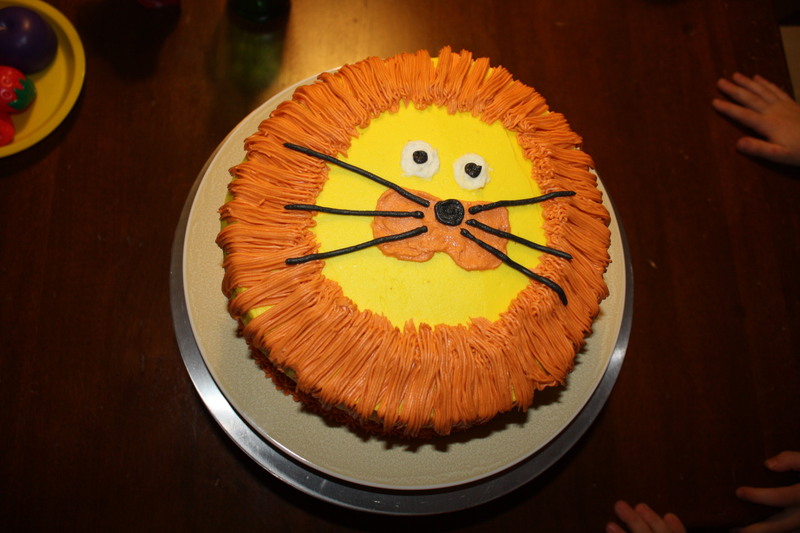 The lion cake for Coop's birthday. 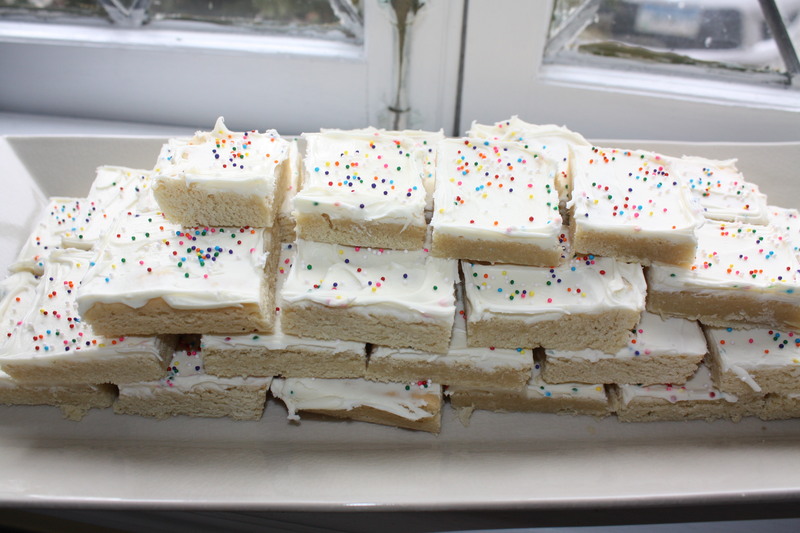 Sugar cookie bars inspired by Pinterest. 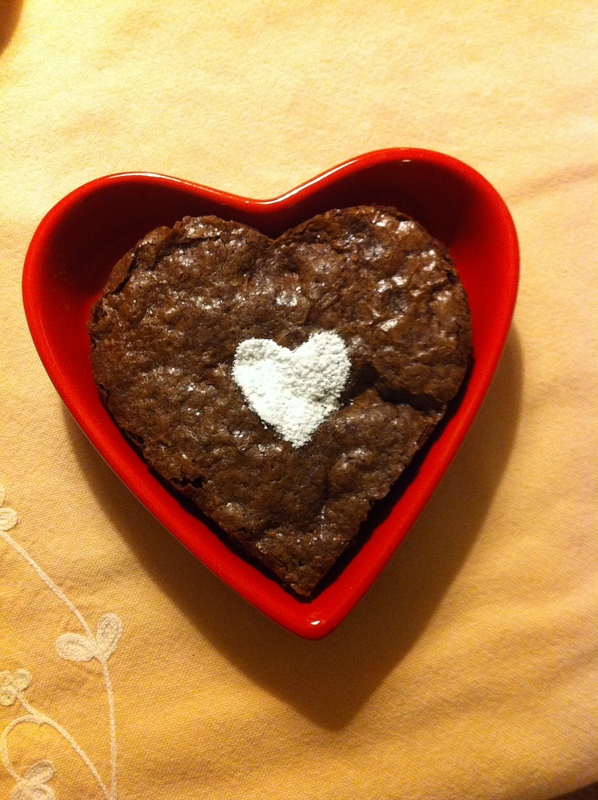 Individual heart-shaped brownies for Valentine's Day. 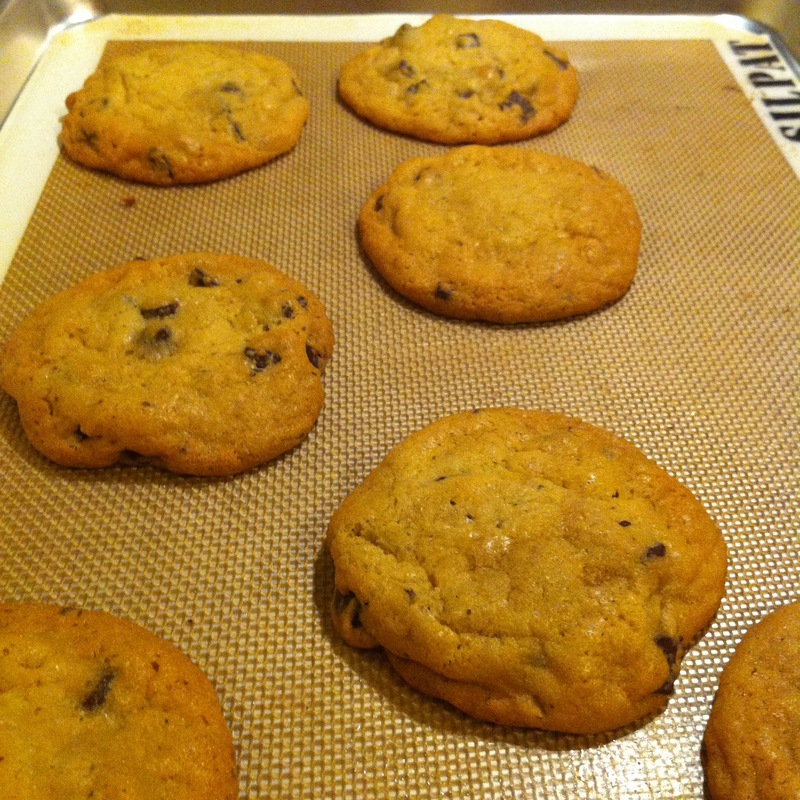 And my new favorite chocolate chip cookie! We’re off to Disneyworld soon, and I plan to eat a lot of sweets there. 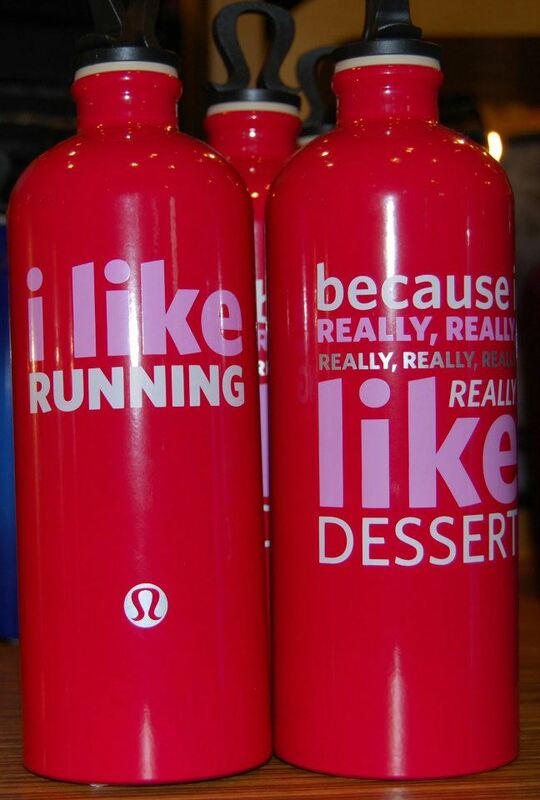 Luckily we do a lot of walking at the parks so I have a chance to burn off the calories I’ll be consuming. I’ll make sure to take pictures of the sweet treats and write about them when we return. I went on a first date today. It was just for lunch, and I think it went pretty well. I hope she calls me again. Ok, yes, it was a Mommy Date. And yes, I was nervous about it. I don’t go on too many Mommy Dates. All during the lunch and right after, I kept analyzing what I was saying and what I was doing. Did I look awkward with my hand under my chin? Why did I order a salad – maybe now I have lettuce in my teeth. Would she tell me if I had lettuce in my teeth? I don’t think we’re that close yet. Why did I talk about how much I love shopping? Does she now think I’m a prissy little shoes and clothes hoarder? Did I ask enough questions about her? Did I talk too much? Did I talk enough? Do we have enough in common? I wonder if she likes chic flicks? It’s sad that this is the state of my dating life right now. But finding friends at my age is hard. I feel like I have a great group of friends already. The problem is that they live all over the place. I need friends close by. I need friends that I can go for a walk with or who can pick up my kids from school in a bind. I need friends on the sidelines of the soccer field. I need friends at the PTA meetings and Daisy meetings. The date today wasn’t all about need, though. I actually wanted to get to know her better. She seems really cool… the whole family is pretty cool actually. And she’s the mom of Mason’s best friend, so it would be good to get to know her more as we embark on the sleepover days and after school playdates. It’s amazing how much influence your kids have on who you are friends with. 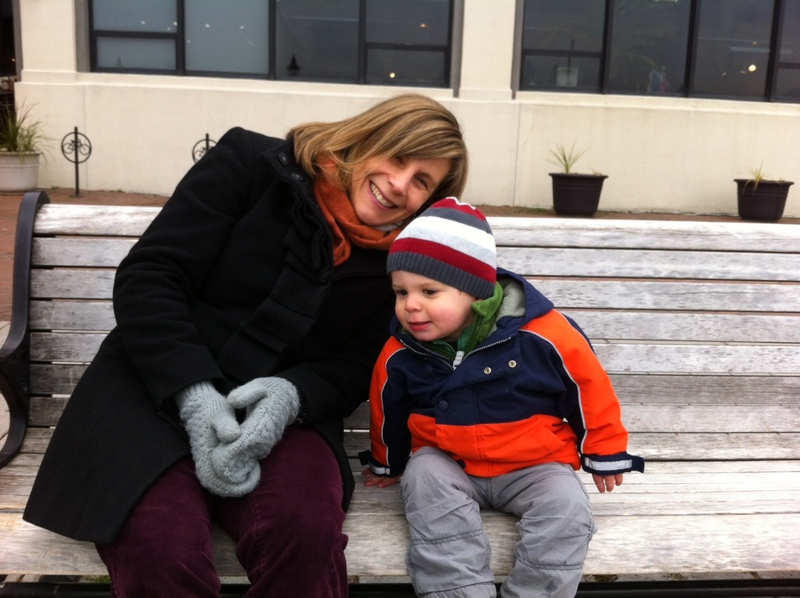 At kindergarten orientation back in August, I saw many moms that looked like people I would want to get to know. But if Mason’s not friends with their kids or they have a son or their daughter is in another class, then I don’t get to know them. 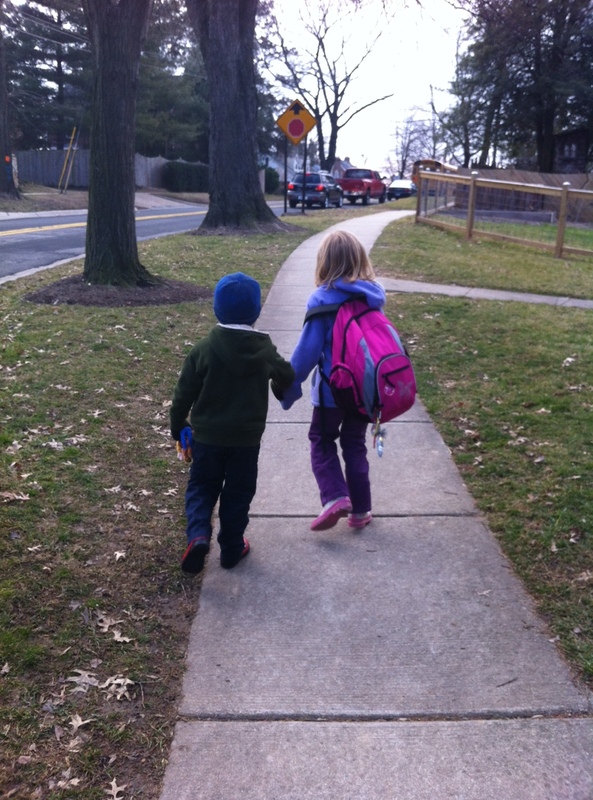 And while I know that her class and friends may change over the years, it is these initial relationships that take hold, which is why I already feel so behind. 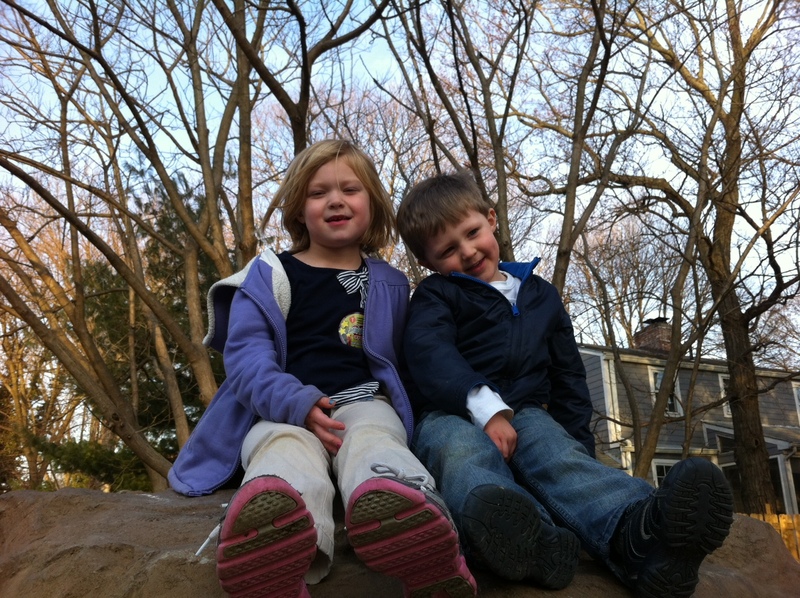 Many of the moms I see are already good friends either from older siblings or because they live on the same street. I don’t know anyone on our street that has a kindergartener or a kid Cooper’s age. That is why I was relying on school to introduce me to new friends. It is taking long than expected, though. It’s 6 months into the school year, and I just had my first Mommy Date. I’m definitely behind. But I haven’t lost hope yet. I had a great time on my date today, and I have confidence we will attempt to do it again. We’ll stick with lunch most likely, but maybe after a few lunch dates, we can make it more official with dinner and a movie. Fingers crossed!